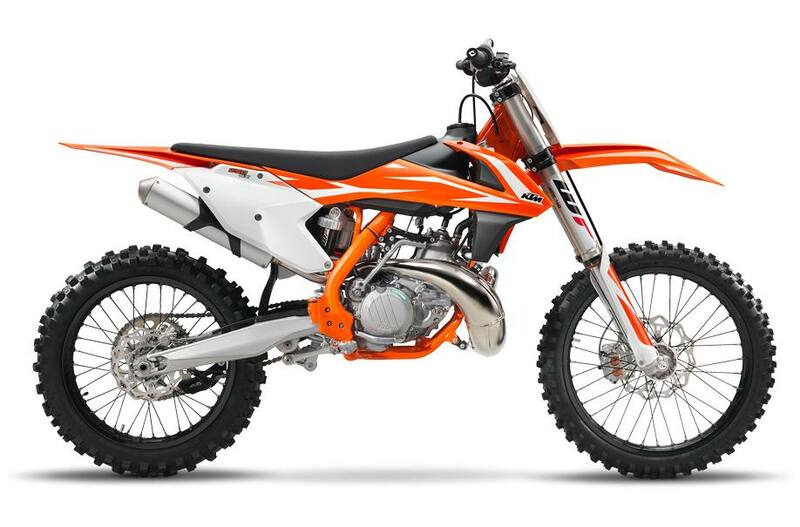 The KTM 250 SX has one of the best power-to-weight ratios in the world of dirt, forming the ultimate punch against more complex 4-stroke rivals. With the grunt to devour all sorts of tracks and terrains, and a lightweight chassis keen to skim the surface, this masterpiece of KTM’s R&D and Motorsport departments is born to lead the next pack of winners that prefer premix. Crankcases: These all-new die-cast engine cases feature an 4mm higher clutch shaft and a 19.5mm higher crankshaft, resulting in better mass centralization and quicker handling. In addition, it allows the implementation of a counter balance shaft. So your ride will be as relaxed as it is rapid. Plus, your new favorite engine will keep looking as fresh as the day you bought it with redesigned engine covers featuring a smart surface structure in order to reduce the wear caused by the rider’s boots. Exhaust System: The engineers meticulously tuned the resonator chamber for maximum torque and power, so this screamer is as tough as it is strong. Featherweight: KTM engineers just love dropping weight year after year. 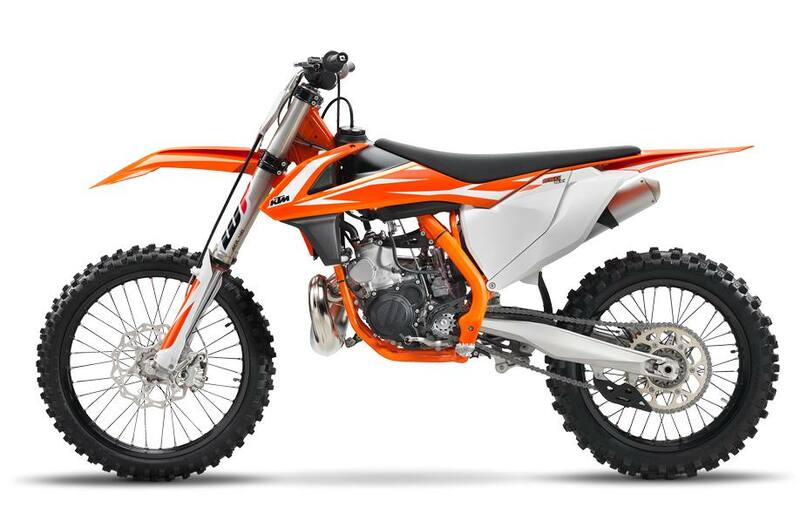 The result: the 2018 KTM SX models are the slimmest, lightest dirt bikes out there. Weight READY TO RACE (pound) (without fuel): 210.32 lb.